I do get asked a lot of questions about going Limited and the timeframes that small companies should consider and the options available to them. Your records are not public and your competition cannot see any financial information on you. The paperwork is fairly simple to upkeep and the Self Assessment online is straight forward, which is why a lot of soletraders do their own filing. Suits small companies with turnover of under £100,000 with not too many transactions and complications in their accounts. Your personal assets are at risk in the event of bankruptcy or liquidation. As your records are not public, your credit score is more likely to be lower than your Limited company counterparts. The fact that a lot of soletraders do their own filing, eventually costs them money, as they are not necessarily aware of the tax reliefs available to them. They may have a limited sales market, a lot of the larger firms will not deal with small companies under a certain size as they are more risky. More likely to pay a little more tax as you pay profit on everything you earn, whether the money has been spent by the soletrader or is sitting in the bank. I tend to start asking my soletrader clients to at least consider investigating into going Limited once they hit the £100,000 turnover threshold. They are probably VAT registered and have staff working for them so are already used to extra regulatory paperwork anyway. Increased credit score, as your records are now public record. Give the impression of a profession company of a certain size. Making you more desirable to gain larger sales contracts. Limited Liability, your personal assets are not at risk in a bankruptcy or liquidation, unless you have placed these assets as guarantees for the company. There are better tax reliefs available as the Directors/Shareholders are a separate entity to the Company. More regulatory paperwork, accounts need to be prepared in a certain statutory format to be accepted by Companies House. Including the preparation of a balance sheet, which a lot of soletraders do not have prepared for Self Assessment. The requirement of an annual return, corporation tax form along with the self assessment return still required for the individual director/directors. There can be an increased Accountants cost for the extra paperwork required. Your records public, which means anyone can see them competitors, customers and suppliers too. Small companies qualify for abbreviated accounts, which contains only limited information that is statutory, so you’re not giving away your trade secrets. There is a lot more financial jargon, contained within the wording required for statutory accounts, and you have increased risk of getting fined if you are late in submitting the accounts. We keep a great diary system, which reminds clients, when their dates for particular submissions are due which has been greatly received. I hope you find this blog helpful in deciding your future business focus for the company. A lot of small businesses are missing the importance of budgeting ahead. The reason why businesses budget, is to set long term goals for themselves and to track the progress to ensure they are achieving what they set out at the beginning of the year. Use it for anything, ie build up the business to make a decent living for the shareholders, improve the balance sheet position, take over a global market, the choices are yours. Plan for them. Here are some simple ways of budgeting and forecasting the year ahead. There are two ways, a long term fixed budget, set out at the beginning of the year and then track when the actual figures come through, or a rolling budget which means once the month is up you roll ahead to the next month, so you are always looking at least a year ahead. Set yourself some goals you would like to achieve over the next couple of years, and set out how you are going to achieve them. This could be in note form or a more detailed report. Set yourself realistic goals to achieve for your sales turnover. A top down approach. Use last year as a guide plus a percentage for growth or inflation. This method is a great way of keeping the costs under control. A bottom up approach, is more loose in that you put in your costs, and set the targets of sales that you have to achieve to pay for everything. It can make targeting sales more difficult as costs are not as controlled. If you have been running your business a little while you might have these figures to hand as a percentage of turnover. If not then a costing exercise can be done to work this out. Put everything in to this and spread it over the next year. Ie rent, wages, advertising, heating, office costs, travel. It all goes in here. Split it out by category so that you know what you’re spending on what. If you are doing a yearly one, spread these costs over the 12 months. If you are aware of seasonality fluctuations make sure they are apparent in your budget. Starting off with the profit and loss budget is a good way to start, if you are feeling confident then set up a balance sheet forecast and a cashflow one too. If they are all connected together, you will always know ahead of time what your financial position is going to be. There is some great software in the market that can help you with this. Now use this template to put in your long term goals. If you are looking to purchase equipment, or taking on new staff for a project, a new sales contract. You may have to increase sales to achieve these goals, but set targets. You may have to increase your advertising spend, or take on more staff, take this into account. Once your budget is done, then as the months pass and you know your actual income and costs. Put them into the spreadsheet. If you are not quite making the targets, look into the cause of the fluctuations, to get yourself back on track. Planning your business through tough commercial times will be more of a necessity than ever, sales may be not as productive as before, cashflow may be tight. See my 6 point tips that will see you through. These methods work time and time again, so give them a try. If sales are not converting as quickly as they were before look at what added value you can offer as part of that service to make it more appealing to your target market. What is your client retention? Its cheaper and easier to have a customer returning to you time after time, than them coming once, then never returning. This could be a project in itself. First you need to know who are you are targeting. Take a look at the large corporations, they would have seen plenty of tough times, how do they get through the recession. Learn from the experts. In times of recession price sensitivity and quality are always a priority for your customers. How do you cost your product or service. For example use the BCG Share Growth Model as below. This will help you assess which products are making you profit, which are not. Split your costs and services into 4 categories, see the picture example. Products that are high volume and high margin. These may be products that have always been good sellers, and a favourite with your customer. Products that are low volume and high margin. These might be a niche market product that only appeals to a certain audience. High volume products, low margin. Low value products, but you sell a lot of them. Low volume and low margin. Products that don’t really have market, obsolete stock etc. If you deal with a retailer, maybe its time to negotiate. Look at your high volume products, can you buy direct from the wholesaler, you will save at least 30% doing just this. Look at your stock levels, even holding stock for three months. Look at the possibility of the savings versus cash outflow in holding stock. It might work out a better option. Assess every cost you have from the every overhead from rent, heating, electricity, the phone bill. Even the stationery bill. Get your negotiating skills at the ready. If your struggling, they may be too. They need your business. Look at local businesses and see what they can offer, you’ll be helping your community and possibly reduce your logistics costs too. The wages bill, it is a high cost for a business, make sure you get the maximum out of your investment. Don’t see your staff as just employees, they are an investment in your future. Look at training, how can they add value to your product or service. Look at your car and fuel costs, don’t make unnecessary travelling journeys. Don’t spend on unnecessary costs, keep the frills for the better times. Look at all ways of protecting your cashflow. Plan ahead put together cashflow plans, even a simple one will show you ahead of time when you are going to need to fill the gap. Is your business seasonal. If you see a drop in cash, start saving for it now. Don’t leave it to the deadline date as you wont have given yourself enough time to build up your cash reserves. Investment in capital expenditure, or taking on staff, assess a long term plan the viability of this, before you spend. Growth is lovely, but staying open is more important. Gain credit from your suppliers. Look at an overdraft facility with the bank, yes they charge, but you never know when you might need the cushion. Look into leasing your fixed assets, this will also help with the cashflow. Pay your VAT, PAYE monthly, at least it will reduce large amounts of cash going out of the bank at three monthly intervals. Ie spread the cost. Look at your long term, possibly obsolete stock, sell to a scrap merchant, hold a sale. It costs money to sit in your warehouse. If you are not hitting the right note with your customer, maybe think about other sources of income. Look at the market place, what market isn’t saturated yet. What services are connected with your products, its all about adding value to what you do already. If your business is seasonal, what can you do with that time to keep the cash coming in. If its routine every year, make this year different. This blog is intended to explain the full potential of your business plan. We have just updated our Business Plan and wanted to share some insights as to why these are important for the growth and success of your business. You may have put one together when you started your business and it is now collecting dust in the drawer, next to the filing cabinet. How about if we told you it can be adapted to be used as a positive tool to be developed as your business develops. You maybe three years into your business, you have changed both as a person, and as a business in that timeframe. What was important three years ago, may not be so important, you may have other ideas, now you’ve dipped your toes into the world of entrepreneurship. To focus on specific goals you wish to achieve, have something to aim for. To take on a planned approach to your daily routine. The successful companies plan everything. To work on your threats and weaknesses . Stand out from the crowd. What is your Unique Selling Point, what is your business goal all about? Update the business plan with these new inspirational ideas. You have now been in business for while. You now have experience with what you are doing. You may have made some mistakes along the way, but have learnt from them using that knowledge to better use. The SWOT analysis is all about where you are today, and how you compare with your expectations and more importantly against the competition. Strengths - you have first-hand experience of running a business. What have you gained from your time doing it. Weaknesses – you listed these in your first business plan, did you manage to eliminate some. Have you gained new ones? Opportunities – No matter how big or small your business is there are always opportunities to promote and sell your product. Use your contacts you have now built up. They may be able to put some work your way. Give you access to that contract you’ve been chasing. Its not necessarily what you know, its who you know. Threats – Whether you own the local shop down the road, or run a large corporation. Three main threats to your business survival. 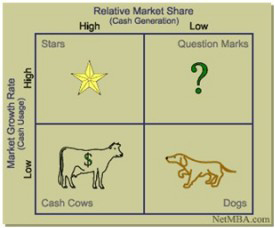 The economic environment, cashflow and the competition. Embrace and learn all you can about them, be one step ahead. What services or products do you offer ? What is your Unique Selling Point ? How saturated is the market place ? How big is your market, what is your potential piece of the pie? Is it local area or a global market ? Can you make a profit from what you are doing? How your marketing campaign has been working so far, track what works and what doesn’t. Some Number Work Set yourself a detailed budget and compare to actual figures Put together a cashflow statement. Whatever youre doing always keep an eye on the cash and profitability. Check and triple check your costings.